Next Entry:We must get rid of Algebra because Roger C. Schank can’t behave at parties, knows weird mathematicians. What you’ve neglected is how GENIUS your son is! While you may ensure his backpack some day is prepared with the appropriate materials for his school days (pencils, notebooks, lunch, etc.) he was just looking out for you! 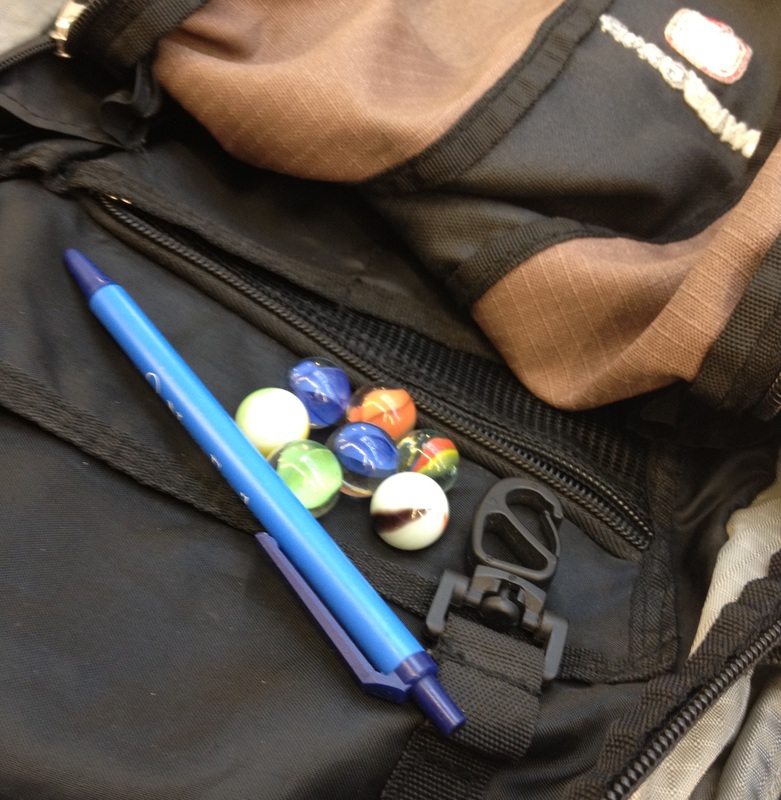 I mean, who wants to walk into their stats class with nothing but a hypothetical bag of marbles to begin problem solving with!? NOT JUDE! He wants his dad to be prepared with all necessary materials essential to problem solving in a prob/stats style course. Next time, he’ll remember to drop in the dice….you just wait and see! Haha! Oh my, you’re absolutely right and I can’t believe I didn’t think about that! What are the odds of drawing both blue marbles? Why, 2/7*1/6=1/21 of course!